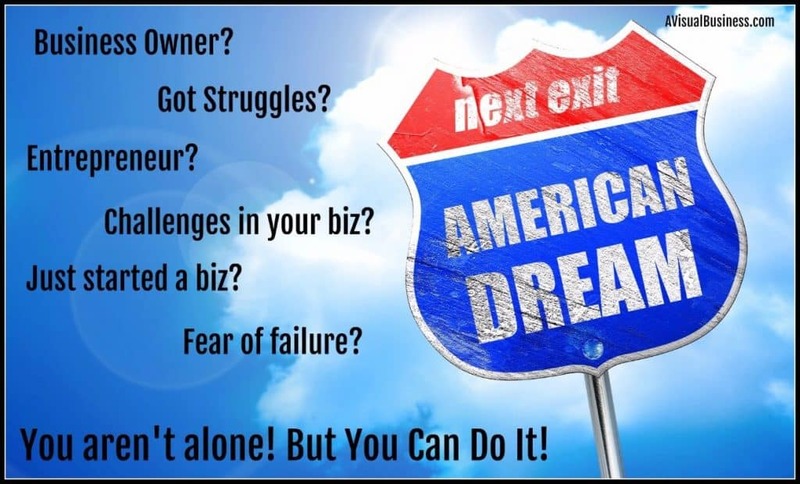 In today’s world, most people see entrepreneurs as individuals who are living the American Dream with little to no worries. Well, that’s not entirely true. 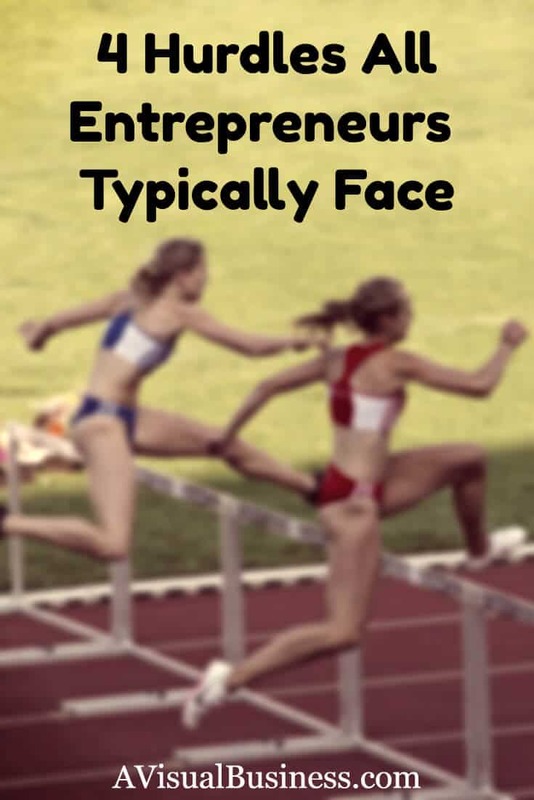 What you should know is that the life of an entrepreneur is not as easy as it seems. Behind those “flexible schedules” and charming smiles are constant struggles and challenges. In other words, entrepreneurship is riddled with harsh and yet rewarding challenges that you’ll have to overcome especially if you’re looking to become successful. Do you have what it takes? Let’s see…. If you have the opportunity to meet a successful entrepreneur, he or she will tell you about the fair share of setbacks they have had to endure over the years. 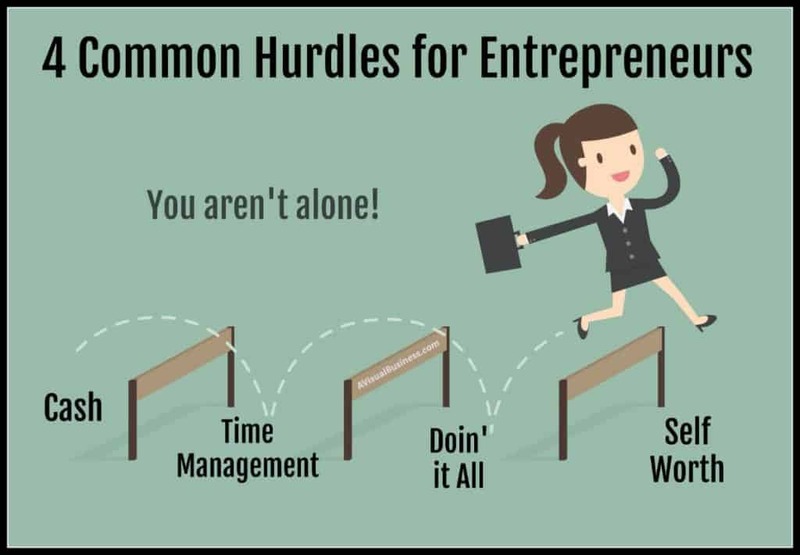 (insert: blood, sweat and tears (well, maybe a lot of the latter)) It’s practically impossible to find someone who became successful as an entrepreneur with no roadblocks or hurdles to overcome. So, if you keep that in mind and you are running a small business, know, you aren’t alone. Don’t be discouraged when things don’t go as planned — you need to be strong and focus on your goals, as many before you and failed ten times over and still pressed on! First, just have to say.. flow as a verb is said to mean a continuous stream (which assumes it is coming or going, but either way.. it’s moving). Further, as a noun, it means that it is the action of something moving in a steady stream. Now, as most entrepreneurs, or business owners know, especially those starting out… that the FLOW we speak of, is usually a flow leaving our account to someone else’s. Remember that American Dream we spoke of, that is the continuous INCOMING flow, right? So, this leads us to the point that incoming cash flow is crucial to the survival of any small business, and yet, many entrepreneurs struggle to pay bills. This typically happens when they’re waiting for checks to arrive.. or more so, CLIENTS! Then, once you have the clients, be sure you are creating systems that give you money up front to cover the tools that you need to perform the service and/or product or get those invoices paid asap after the delivery. As we know, not everyone has the ability to lead a company and it truly does take a special kind of person to step out and start and run a business. But even the most organized folks can still struggle when they start up and run a business of their own. It requires structure, goals and of course time management. Let’s not forget that “work/life balance” as if that ever can occur? For instance, when you’re working on different responsibilities at the same time, it can be almost impossible to manage them all and allocate the appropriate amount of time to each of them. Just know that you’re not alone in this struggle — most entrepreneurs are likely to have issues with time management, even the most disciplined ones. Let’s face it; everyone has the same 24 hours in a day, you can’t control everything that happens, but you can control what you decide to do with your time, so figure it out and start managing your time now! This is yet another struggle any entrepreneur will have to face since their business and reputation is on the line. As we know, hiring the right people could lead to the success of the company, but the wrong hire could ruin the whole plan. Similarly, hiring and outsourcing can be synonymous in this point in that outsourcing a piece of a product or a service can add to or take away from the end product or service. Can you relate to this? I sure know I do as most of my work is done online and once it is “done” it is live so anyone working with my client work is immediate seen and potentially cached by the search engines with little to no guarantee of being able to take it back. So, if you are hiring an employee or outsourcing some work, the best thing to do is create an on-boarding strategy, test the employees/contract worker out and have an entry period to check work before giving them full reigns. For starters, entrepreneurs are individuals with strong personalities. Most of us are very likely to measure business success by how well a company performs financially. This is exactly why many entrepreneurs tie their self-worth to their net worth. Keep in mind that some businesses are likely to fail and this can put entrepreneurs in a tight spot. Business failure can cause entrepreneurs to struggle with identity issues, financial issues and other issues that have been previously based on high expectations. As an entrepreneur, it’s crucial to build a life and identity that has nothing to do with your career or business. Easier said that done, we know! You can work to create a separate solid foundation that carries your family, hobbies, friends, religion and other interests along. This will give you something to hold onto if you fail to achieve your business or career goals, or heck, just have a few ebbs and flows and need an outlet that isn’t work! Cash flow, time management, outsourcing & self worth – The Struggle Is Real, to say the least. So there you go! I know most can agree when I say entrepreneurship is not for the weak but the courageous. Business success is not easy to attain as you may have to go through a series of setbacks before reaching your desired destination. But the good news is, you can become successful if you stick to the path and face your challenges head-on. If you are reading this and you are a new entrepreneur or one who has been in business for a short or long period of time, feel free to share What Has Helped You Stick Through it All & Succeed????? Love to hear from you! By all means.. if I can assist with some of your social media, teach you how to run your social media or help with your website and optimization… please contact me! All of these ARE major challenges for small business owners, Kristen! The cash-flow issue is so important to master. Businesses have ebbs and flows, and being frugal in the flush times is key! OH so true indeed Susan! Oh yes.. I can totally relate and I feel your pain Tami. Hang in there girl and you have the right focus! Oh no Meggie, you are not alone and we all struggle with all of these AND the juggling act! You covered all the key issues that entrepreneurs face. One more I’d add is that it is often a challenge for those who want the results they believe come from being an entrepreneur, and yet don’t really have the constitution needed to be one. Not all people are self-directed and like to work on their own. It’s so important to recognize how you work best and then go from there. I’ve always had an entrepreneurial streak, however, actually succeeding often looks much more appealing or glamorous than it is! Thanks for the insights, Kristen. I never thought I could work from home until it happened and like you said, it isn’t for everyone Bev. Thank you! These are fantastic points Kristen. Hiring others to help is critical, especially with the social media part of a business. One error I made that I would not do again is I signed up for too many webinars and overwhelmed myself with too much information and didn’t have the time to implement it. I ended up with notebooks of “To Do” projects and then became paralyzed with too much. Don’t spread yourself too thin. Oh yes Candess and my tip on that is… if you don’t know what you will do with the data/information, then maybe don’t work to see out the answer. I can’t imagine working for someone else. I’ve been self-employed since I was in my teens. I’m to the point now where I’m probably to bossy to even volunteer for too long of a period. Thank goodness most of that was required when my children were smaller. There are some people who would wake up paralyzed by fear just from their overview of the day as an entrepreneur. It has it’s rewards – and it’s costs. A big decision going in. Thanks, great post! Wow.. I had no idea Cathy.. what all have you been doing since you were a teen as far as small biz? Great insights and things to be aware of for anyone starting their own business. Awareness allows you to set yourself up for success at the very beginning. The cash flow is important to start the buissness and be able to outsorce the jobs so focusing on the material and the major points of the buissness instead of having to spend so much time in one area. Having had an all-absorbing business – a large dance studio – I really appreciated this point especially: “As an entrepreneur, it’s crucial to build a life and identity that has nothing to do with your career or business.” I think it is so important, contrary to stock opinion, to take our eyes off the prize every so often! As you say, we must stay grounded and well-rounded as a human being, and, most important, not to tie our self-worth to our business success or failure. Cash Flow! I know so many people who have tried starting businesses on a shoestring who have only been able to get so far. I don’t think it’s impossible to do so by any means, but having some cash flow that can be managed (and liquid when needed) makes it so much easier! True Jennifer.. and I guess it also depends upon the industry. But if you don’t have the cash flow… you will definitely need to put in the man hours… because a business won’t grow by itself without time or money! In today’s ultra-ambitious corporate world, every entrepreneur faces various challenges either during their startups or in the mid-section. Well, it is the time, which provides some source of resources to the entrepreneurs to get through all the hurdles in the way. Here, you have pointed out 4 paramount summons that every tycoon encounters in his journey to entrepreneurship. In addition to that, time management, cash-flow administration, employee recruitment are some of the tough provocations that usually appear in front of an entrepreneur while pursuing his dream. Well, in this regard, I just want to say that a tycoon should not possess self-doubt because this is a kind of attribute which will make the path more difficult when he is going to face these summons. Thank you so much for jumping in Stephen.. well said!